Beauty Under 10 | Beauty should only take 10 minutes ARE YOU ADDICTED TO SELFIES? Take the Quiz! 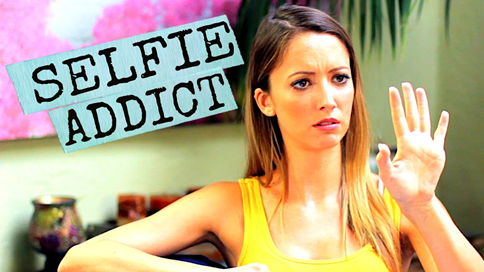 ARE YOU ADDICTED TO SELFIES? Take the Quiz! Selfies lead to an increase in plastic surgery. Dr. John Zannis, a New Bern, North Carolina board certified plastic surgeon provides an example of how the selfie craze can propel people toward plastic surgery because, “the nose looks bigger in close-ups. All selfies are close-ups, so people immediately notice their nose." As a plastic surgeon, Dr. Zannis spends time talking with patients to determine if their aesthetic concerns are real or imagined. The patients who are urged to have plastic surgery because of selfies will often point out their flaws in each selfie, which raises a red flag for Dr. Zannis. Sometimes Dr. Zannis will refuse to perform surgery on a patient with excessive selfies if he believes it is not a real image of what they actually look like in person. Are You Selfie-Addicted? Take this Quiz! If you answered Yes 2- 4 times: It's time to step back and evaluate your use of selfies. If you answered Yes over 4 times: It's no longer about selfies. Overuse of selfies (or any form of social media) may mean you are using short-term gratification at the expense of more important goals. Dr. Hafeez suggests keeping a selfie journal for a week and writing down how you're feeling and what you're doing when you want to take a selfie. This will help you evaluate whether you are overusing selfies to self-medicate bad moods or anxiety, trying to satisfy the need for social connection, or just avoiding getting your work done.